Commissioned by the Houston interior designer Kelly Gale Amen. 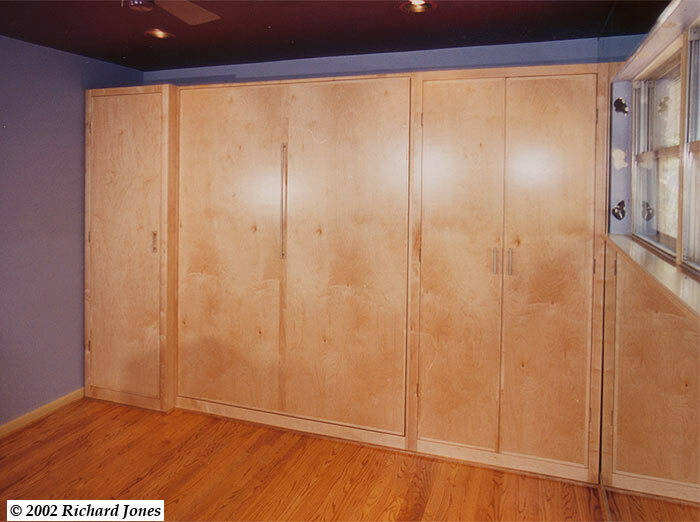 Solid hard maple, maple custom veneered on to MDF, Häfele bed lift , halogen lighting, safety cut-off switch to prevent fire. Polish: clear lacquer, and tinted lacquer. 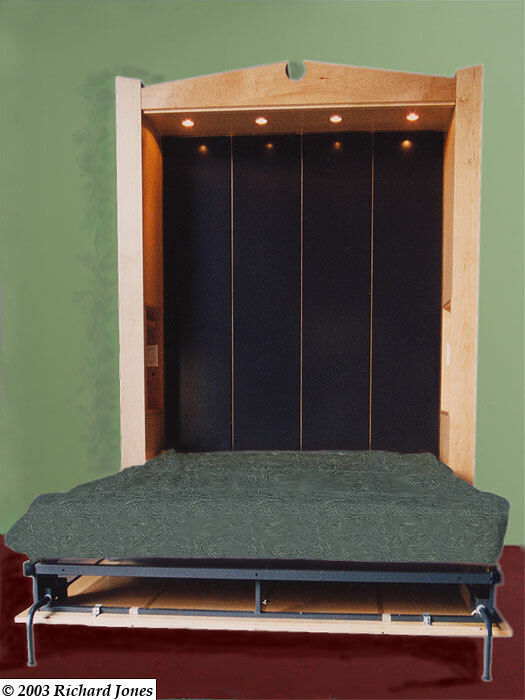 Built and test assembled in the workshop prior to delivery and installation in a 17th floor apartment in the Warwick Tower, Houston, Texas. The room the bed went in was a beautiful room used by the owner primarily as a music room in which he displayed and practiced playing his stringed instruments. From time to time his son and daughter-in-law and their children came to stay as did other visitors, and this fold-away bed provided the necessary extra sleeping arrangements whilst at the same time left the room clear to fulfil its main purpose. Maple, birch plywood, Häfele bed lift, and lacquered. 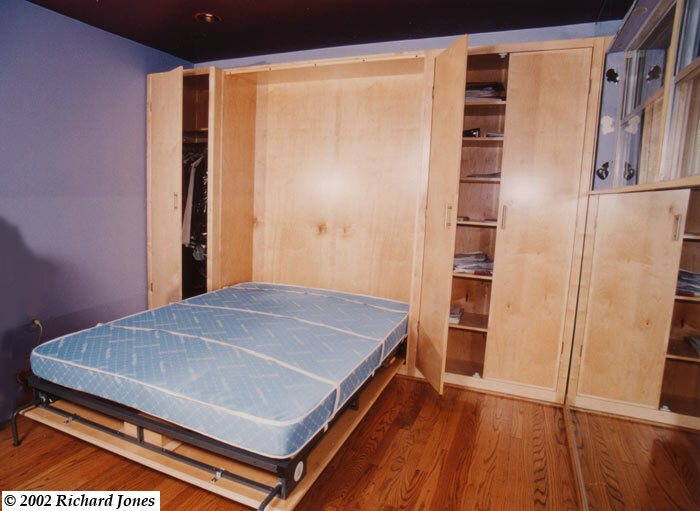 The use of standard birch plywood was one reason why this fold away bed could be constructed more economically than the example above. The bed, built in wardrobe and storage shelving was commissioned by the Houston interior designer Kelly Gale Amen and the budget was relatively small. 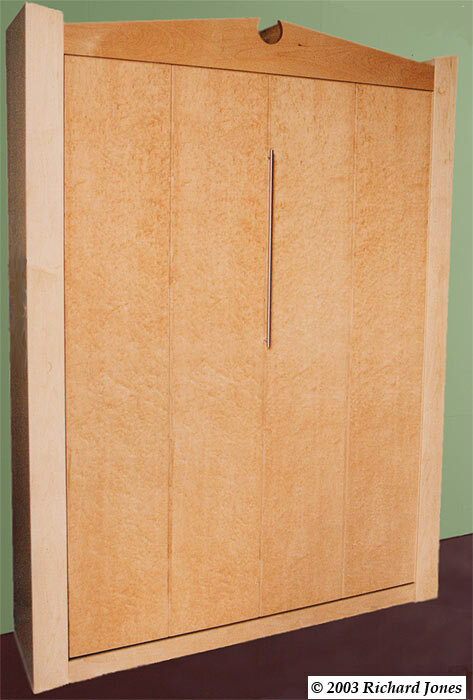 Functional imperatives had to take precedence over the added aesthetic appeal that custom veneering would have allowed. 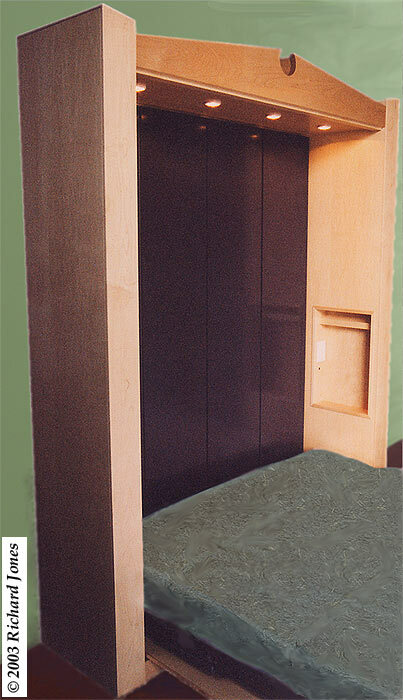 Similarly such additional benefits as the integral lighting and cubby holes for placing alarm clocks, drinks and magazines that are a feature of KGA Bed 1 above were omitted in this version to save costs.